Private Blog Network (PBN) vs. Local Authority Sites (LAS). In this post I will be discussing what a PBN is and what LAS are, and more importantly which one you should focus on for long term success. You will want to also understand how to develop authority sites or partner with a Local SEO Company to develop them for you. A PBN (Private Blog Network) is a group of sites that primarily exist to provide links back to ‘Money Sites’, your primary site that you want to rank high and profit off of. They are built on recently expired domains that already have external links established, and the idea is that by adding some fresh content to the site and linking the site to your ‘Money Site’ will be of benefit. The biggest concept to grasp about a PBN is that these group of sites are not meant to be of value in and of themselves to web visitors but only to provide ‘link juice’ to your money sites, or to other website owners who want to purchase links from you. Google definitely frowns upon this, and in my opinion you are missing out on huge potential from what these individual websites could provide you as there is no value in each site in themselves. There is also big risk in running a PBN, especially PBNs that are not developed correctly as Google will penalize you, and even de-index ALL of your sites if they discover your PBN; and they will! You can read more about the dangers of running a Private Blog Network here. Some PBN experts get away with running their Private Blog Network, and sell links on their sites to those that want to boost their search engines rankings, but to us this remains too high of a risk to engage in. If you’re looking for long term success for your business or your clients, why spend time creating a PBN when you can create an LAS (and eventually an ASN)? LAS stands for Local Authority Sites. They ‘re a strategically planned and developed websites created to help you dominate the search market you’re targeting. Local Authority Sites (LAS) provide value uniquely in themselves, and amazing value as a whole. The concept behind taking the time (or working with a local web design company like ours) to create high value Local Authority Sites is that once setup it could provide you the potential to dominate the search market you operate in with highly ranked authority sites. Unlike a PBN, in our LAS model every site that is part of the network is highly valuable, and an authority site in itself. Each and every site provides valuable information to those that visit the website, and the websites becomes a ‘division of’ your company enhancing your main company website (in a PBN called your ‘Money Site’). But your Local Authority Sites individually will generate more business for your company and can be used to focus on specific services or products you provide. Ultimately they are joined together to form an ASN. In no way is creating LAS used for ‘link juice’ or to game the search engines. The purpose of your LAS is to increase your ability to connect and service those who can benefit from your products or services. 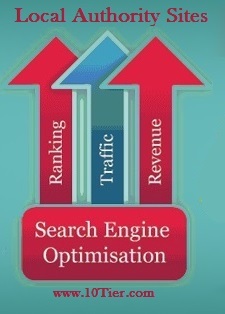 Working with a local SEO expert will greatly benefit you during the development of your LAS. An ASN is unlike a PBN. An Authority Site Network (ASN) is a network of highly developed individual websites that provide value to those who visit the sites. 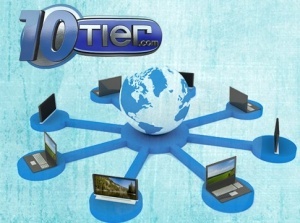 10Tier.com has created some of the earliest ASN’s, and is the creator of the concept of domain ‘circling’, ‘front-loading’, and developing Authority Site Networks. We have perfected this strategy since first implemented in 2004! Why create an Authority Site Network (ASN)? The ultimate goal is to develop enough Local Authority Sites to create an Authority Site Network (ASN). I will dive more into what an ASN is and how to create the best ASN to serve your business, or to create them for your clients in future posts. Establishing an Authority Site Network (ASN) can provide you an amazing way to establish yourself as a market leader and for dominating the local search marketing you do business in. It takes time to build Local Authority Sites (LAS) and unite them into an Authority Site Network (ASN), but once created the results are truly amazing. In future posts we will be covering in more detail on how you can plan and get started on creating LAS and working on your very own Authority Site Network (ASN). Contact us now to learn how we can help you create your own Local Authority Sites, or an Authority Site Network (ASN) to take your business to the next level! If you’re looking to establish long term success and create value in every website you put online, then forget taking a chance on a Private Blog Network (PBN) and invest your time, money, and future success in developing Local Authority Sites (LAS); and ultimately a high value Authority Site Network (ASN). If you would like to speak with one of our Authority Site Network Developers please contact us.